Are you a self proclaimed artist? Maybe you write graffiti or maybe you doodle Do you Doodle? Share your doodles with the world! Do you Doodle? Share your doodles with the world! Read More ? Either way we all know that we love to make our own creations and share them with our friends and strangers alike. I have come across a very nifty web site that is called SketchFu – kind of like Kung Fu but with more drawing,m, less killing. You do not have to sign up or register to enjoy SketchFu to create drawings online, contrary to popular belief. But if you want to save your doodles or submit them for others to see, you will need a free login and password. I did not do that for this article. They have up a basic doodle showing what you can do with the application with a little imagination. You can see drawings other users have created on the right hand side. You can click on them and see what the users created. You can also “cheer” it or comment on it if you have an account. To create a drawing online yourself (why else would you have gone to the site?) all you have to do is hit the New button at the bottom of the home page. There are 5 colored arrows pointing to it and a circle saying try it. Hopefully you will find the button! The drawing interface you see above is all there is to it! You can choose the color of your brush and your brush size”¦ That’s it! 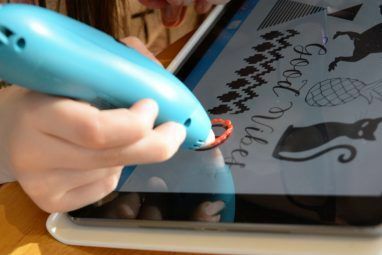 The other buttons at the top let you undo or play back your drawing, stroke by stroke, anywhere from twice to 256 times. 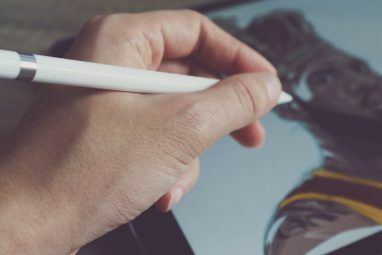 Check that out after you are done drawing – a very cool feature and it can show others how to create your image from scratch! Above you can see the color picker which is activated simply by hitting the black box next to the word color at the top of the interface. You can either type in a color’s hex code or choose from the chooser. Next up we see the different brush sizes that we can use. You select the one you want by clicking on it and then drawing. There are 6 different sizes ranging from teeny tiny to whoa that’s fricking big! So that is the top bunch of sketches that have been cheered on by the community. It is really amazing what some of these artists can do with a simple application like this! Here is my favourite – you can click on it and watch how the artist drew it line by line. This is sooo cool! I am very impressed by this site and it’s contributors – do you know of another similar site to create drawings online? We would love for you to tell us about it so we could check it out! I also have an account on 'Sketchfu' and please, do ask before using other's art, Even if it is for an example. Um, how about you ask Tally before you go off using her stuff. Why not be polite and ask? Hey, uhm, I have an Acc here on Sketchfu. Uh, I'm afraid that she gave you no such permission to use, or edit her work. Please, If you wish to use her work, Do ask. 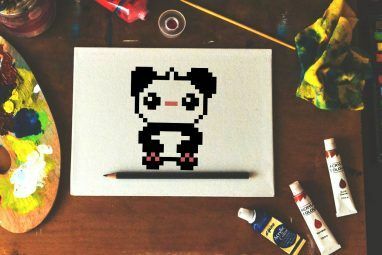 Drawfind.com is another website that lets you share drawings and show others how you created your drawings. Drawfind allows quick sharing even without signing up. The drawing interface looks very familiar so I be this would be quite intuitive for those who are familiar with other drawing or graphics applications.